We are committed to offering only the finest floral rangements and gifts, backed by service that is friendly and prompt. Because all of our customers are important, our professional staff is dedicated to making your experience a pleasant one. That is why we always go the extra mile to m ake your floral gift perfect. High Style Flower Gift Shop has been providing beautiful flowers and unique decorations to the Chicago land area for more then eleven years. 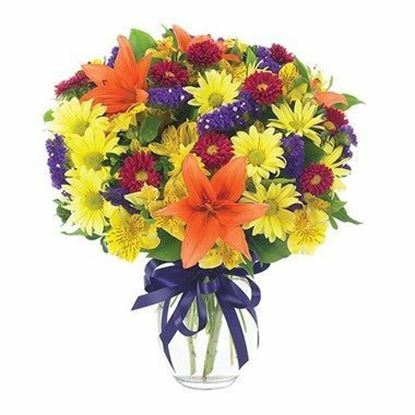 We offer large variety of flowers, like roses, tropical, exotic, and many others. You can find perfect flowers for any occasion. We also offer special designs for wedding, parties, and banquet hall decorations. Tell them how much they mean to you, now and always. P-004 "Violets and Butterflies "